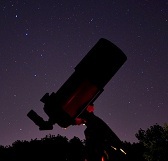 Image Credit & Copyright: Paul Pichugin. CLICK image for larger view and look below for info and links. This absolutely brilliant image comes from Australia’s Paul Pichugin and it’s an incredible set of startrails over Jordan’s Al Khazneh from his recent trip to that region which also included the Great Pyramids of Giza. Many don’t realize, but Petra is so much more than just Al Khazneh here, it’s a rather large area laced with passages and carved tunnels as well as other structures similar to this such as Ad Deir “The Monastery”, The Great Temple, The Theatre, The Urn Tomb etc. Congratulations to Paul on yet another incredible capture! Be sure to check out his works in the links below. 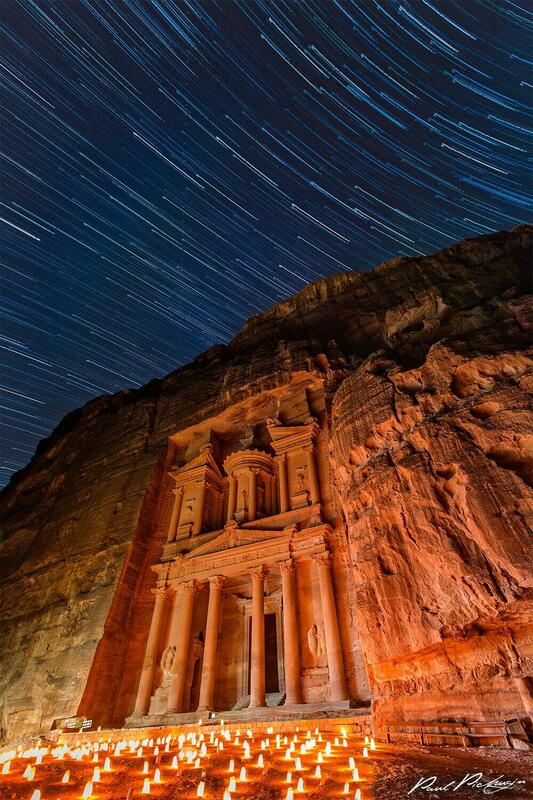 Image | This entry was posted in Astronomy (Learning), Astrophotography (Wide Field), Images, People and tagged Ancient, Astronomy, Astrophotography, Cosmos, Jordan, Night Sky, Paul Pichugin, Petra, Science, Space, Startrails. Bookmark the permalink.